Do you agree to the statement Valentine’s Day is not a day event, but rather an event of a lifetime? Although it is heartwarming to see boys and girls from all ages panic every February 14, the soul of Valentine’s Day lasts until the very last minute of December. You see women line up in the men’s section. You see men run around with a bouquet of roses and a box of chocolates with confidence. But the funny thing is these occurrences do not only happen on one special day. It happens everyday in all parts of the world. Why? It is because gift giving is not only romantic in itself but also fulfilling to the soul. It is a sweet kind of phenomenon. Love in the air 24/7? It is definitely not a bad world to live in. The joy in gift giving is the uniqueness each individual can offer to a significant other. Yes, chocolates and roses are classic options. But is it only you who could put those on the table? Be creative and make it personalized. The effort counts and the present in itself would be deeply appreciated. Mr. Jeffrey Siy of Galleon.ph gave his advice on this good problem. Partner his tip with Dragonpay, and you will surely sweep her off her feet. For those who are unfamiliar, Galleon.ph bridged the gap between the US and the Philippines in the realm of e-Commerce. They carry the most extensive gallery of US products that are sold locally in the Philippine online market. With that being said, uniqueness of products is definitely available. They even stepped up their game with their new service called The Secret Gift – a brainstorm idea for the Valentine’s month, which would eventually be a staple service in their site. In addition, Galleon.ph made sure that each Filipino in search for that perfect gift could avail of their service by partnering up with Dragonpay. It is an online payment solution that lets non-credit cardholders enjoy shopping in the World Wide Web. The tandem of The Secret Gift and Dragonpay is a new exciting way to romanticize your present to a significant other; think secret admirers. The service allows the buyer to anonymously and technologically send a present to a recipient, who must initially accept the gift before the transaction is granted successful. With this method, it more or less guarantees that what you give to the recipient is something he or she would deeply appreciate. And on your part, money well spent. When asked what Siy recommends to give to a significant other, he excitingly replied, “Dig deep! Research what your recipient is craving for.” This could be the best practical advice one could give to a person in search for the most romantic present. And this holds true – ask the friends, ask the sisters or the brothers, stalk his or her hobbies and interests then log on to Galleon.ph, choose from a plethora of gift items, and check out with Dragonpay. Now you have an idea on how to make your present more memorable. 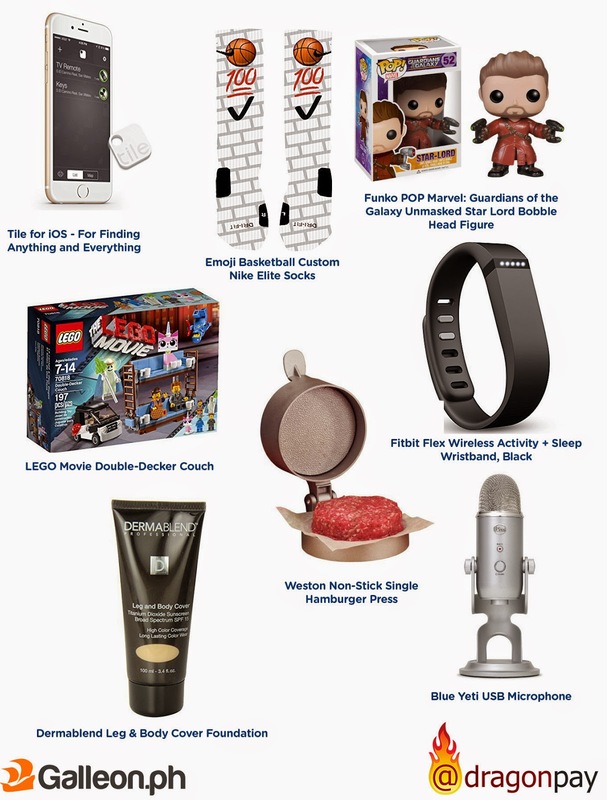 Whether you are a student, a newly employed individual, or a father, purchasing these extraordinary items is at the touch of your fingertips with Dragonpay. They opened the door of Galleon.ph to non-credit cardholders, who desire to click and buy items online. “Majority of Galleon.ph customers are more comfortable in paying offline. Dragonpay has the most number of offline payment locations to date and the affordable transaction fees just made it that much easier to sign up with them. It truly is a win-win innovation for both consumers and Galleon.ph. And with that, I can say that Dragonpay is a must for all starting e-commerce store,” Siy boldly stated. To know more about Dragonpay, visit them at www.dragonpay.ph.